Last edited by Heapons on Sun Jan 06, 2019 3:32 pm, edited 11 times in total. Ugh, i accidently submitted this thread multiples times because of CTRL+ENTER, i just wanted to begin a new paragraph. Anyway, the thread is here, that's the matter. 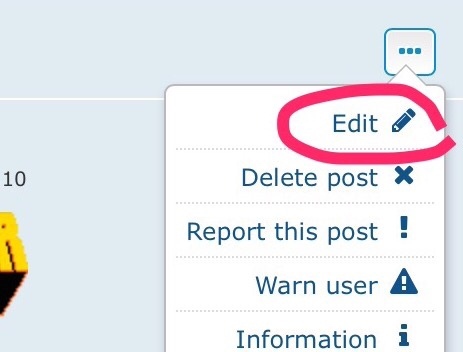 You can edit your thread by pressing the pencil button at the top right corner of the post box. Good luck and sorry for the warning.